Hey kids! You know what time of year it is. That's right, time to give gifts no matter what religion you do or don't ascribe to. 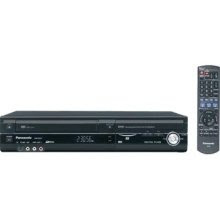 If you want to buy your favorite blogger something special this year, buy Ed Segovia a combination VCR/DVD player. He seems like the kind of guy who watches a lot of old shred movies. Let's get him a little update to the digital age. Anyway, if you want to buy your eighth favorite blogger a present, go ahead and buy me an Airblaster Ninja suit. No, I didn't get one last year (or the year before or before that). I'm a size medium and I prefer the black, merino wool kind. Yes, the one with the hood. If you ask me, they should have named the hoodless kind the samurai suit. What kind of ninja doesn't have a hood!? God bless us all, every one! If you're too young to know who Charles Dickens is, ah hell, just look him up on Wikipedia like you kids do with everything else. Now go play outside!